Abstract painting in New Mexico is a very unique experience, as it traditionally has been for other artists. As a Telluride-based abstract painter, I notice the light is perpetually amazing—clear and vivid—with the ability to illuminate the landscape in brilliant detail. New Mexico has been always about earth and sky. How these two elements meet is perpetually changing. Frequently they meet in such crisp, definitive lines along the horizon only to merge and blur at day’s end. Historically, the artists in and around Taos were a particularly tight-knit group. Painters and photographers like Georgia O’Keeffe, John Marin, Ansel Adams, Edward Weston, Paul Strand and Rebecca Salsbury James were creatively inspired by their New Mexico visits and experiences. 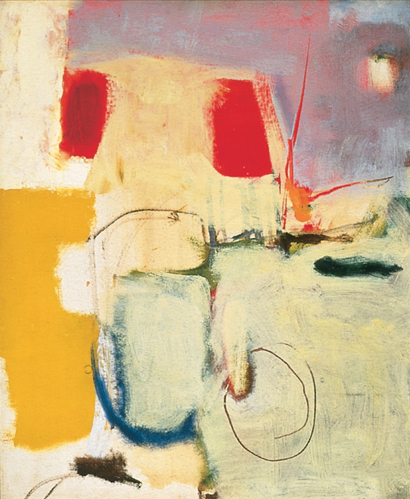 One of my major influences is the Abstract Expressionist painter, Richard Diebenkorn. After Diebenkorn was discharged from the Marines in 1945, he attended the California School of Fine Arts in San Francisco. Here he met David Park, Elmer Bischoff and Clyfford Still. In 1950, Diebenkorn moved to Albuquerque to obtain his Master of Fine Arts degree from the University of New Mexico. During this period his paintings took on a spaciousness and a linear organization reminiscent of the sweeping desert and sharp sunlight of his surroundings. I have always wondered if he reached out to Georgia O’Keeffe, who at that time, resided at her Ghost Ranch just north of Abiquiú…. If you’re in the Taos area, please stop by Made in New Mexico on the plaza and see my abstract paintings there. 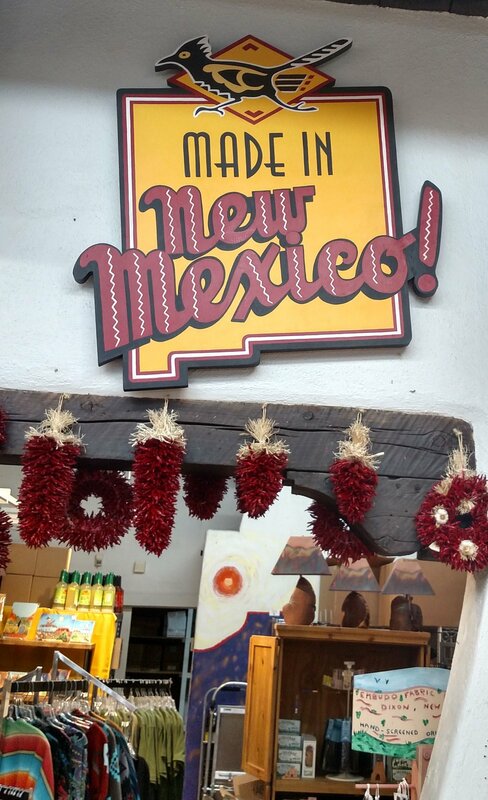 The store features an array of products all MADE IN NEW MEXICO. My favorites are the red and green chile products, the pinon coffee and the lavender honey. 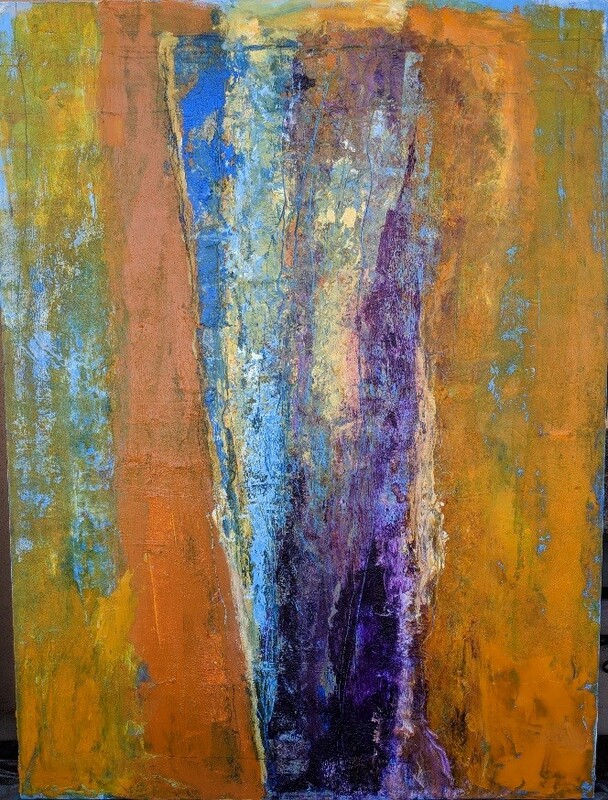 Telluride abstract painter: Margaret Rinkevich Portal #15 Acrylic on canvas 12x24” $520.